Although we are a very small school we still take part in a wide variety of different activities. Here are some of the things we have done. 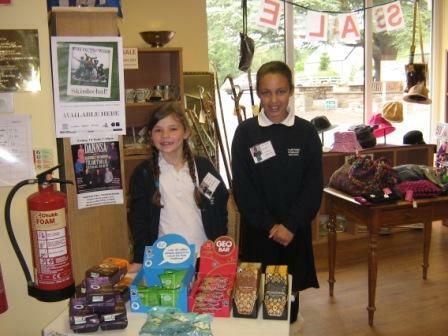 In June 2011 we became a Fairtrade school. 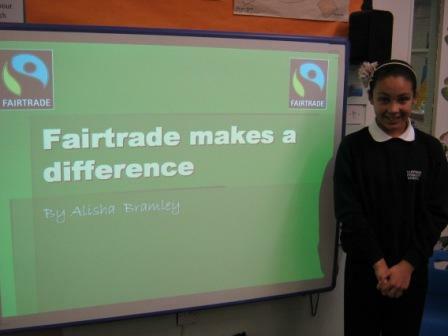 We have held workshops and performances for the community to tell them about Fairtrade. In the Summer we have a stall at the Retreat where we sell our Fairtrade goodies. At the end of 2012 Tarfside Primary School were re-accredited as a Health Promoting School. We are very proud of this achievement. We enjoy lots of healthy activities both in and outside of school. We also like to grow, eat and cook healthy food. 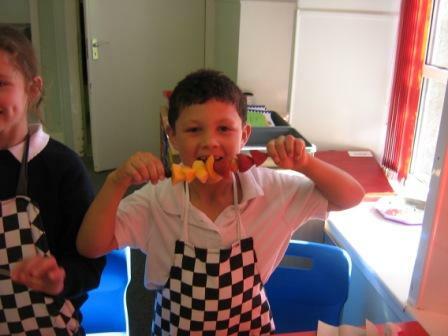 As you can see from our fruit kebabs! 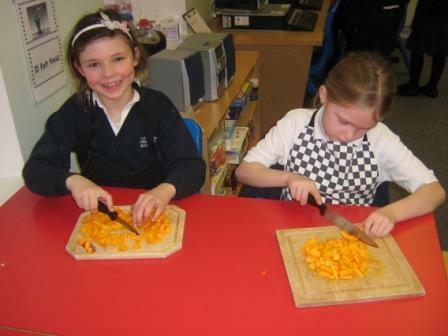 In November 2012 Tarfside Primary School raised £244.19 for Poppy Scotland by selling poppies to the community. Every year we hold two minutes silence at the war memorial in Tarfside. P7 took part in the Seafood Festival at Brechin High School. We were given the great opportunity to cook with chef, Nick Nairn. We made spicy broth with seabass. We have had lots of snow fall this year in Glen Esk. It has been very cold outside but we have enjoyed making some delicious vegetable soup to warm us up.